Happy New Year One And All. I hope this year brings you peace, prosperity, good health and joy. We all need these elements in our lives – now more than ever before. Therefore, as we look ahead to 2016, I wish you only the very best that life can offer. And, to start things off with geek-like style and substance , CNN will air Steve Jobs – The Man In The Machine on Sunday, January 3rd at 9:00 PM Eastern. This CNN documentary film about Apple Co – Founder, Steve Jobs, was produced and directed by Alex Gibney and promises an authentic look at how Steve Jobs came to be one of the most successful and historic inventors of our time. According to CNN, he will be portrayed as “bold, brutal and brilliant”. I guess it all depends on one’s point of view, but, truth be told, you have to be all three to make a revolutionary difference in the world. So tune into CNN at 9:00 PM or set your DVR to record it for safekeeping. I am sure the interviews will be riveting and will include unique footage . Lots of candour and surprises! And – please – share your thoughts about the documentary in the comments below. Your feedback keeps this blog alive and functioning. Review: Picture Collage Maker 3 For Mac Has All The Bells And Whistles. I am a bit of an easy target when it comes to Picture Collage Apps. At my stage in life, photo preservation, scrapbooking, photo books, framing etc. – you name it – have become a wonderful way to pass the time and to relive and permanently capture the memories of days gone by. Events do come and go but can be easily evoked through the creative photo imaging process. But, the saying, “A Picture Is Worth A Thousand Words”, becomes even more powerful when you combine a number of pictures into one beautiful collage. Or two or three or more! Enter the newly updated Picture Collage Maker 3 For Mac. I love Apple TV advertising. The “music box-like” texture of the background music is an Apple signature. It is instantly identifiable. I am not joking when I say that Apple should copyright the sound . Other companies and franchises have tried to hop on Apple’s bandwagon and recreate the same effect. Oh Apple, you are truly the leader in marketing. Truly. 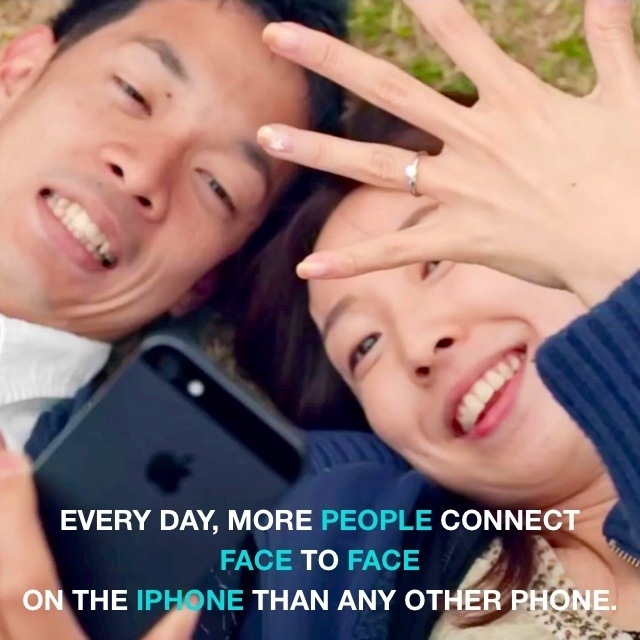 Here is the latest ad for FaceTime’s video calling feature. You can also see it on YouTube as well as Apple’s website. Apple has become very aggressive with their commercials lately, honing in on the many exciting features available in their iOS and OS X ecosystem. And, with September just around the corner, iOS 7 will make its debut appearance with many more exciting treats in store for the Apple aficionado. Okay, after seeing this remarkable Apple TV Concept Video, I have to say that I am just about done here with my remote control. This video, brilliantly envisioned by Sam Beckett, makes you want to diss your remote control and cable/satellite subscription with every passing minute. This video’s creator perfectly showcases how seamless and fluid an iTV experience could be, using Siri as a means to search deep within the programming database for information pertaining to shows, artists, recording times etc. it is remarkable. Truly remarkable. Siri could be used to set recordings, and there’s a intuitive TV Guide and Genius feature that would make discovering new shows quick and easy. In a forum post on The Verge, Beckett explains that he hopes to develop the concept further in the future, by adding App Store, FaceTime and Recordings app demonstrations. So, Apple, let’s get moving here. How much longer do we have to wait to experience the full extent of what technology can contribute to our television viewing experience? And, to the TV networks – get with the plan. Cable and satellite are so passé and so is the crappy remote control experience. We are in the touchy feely/voice activated phase of technology and I do not plan to spend the rest of my senior years living in the past. How about you? 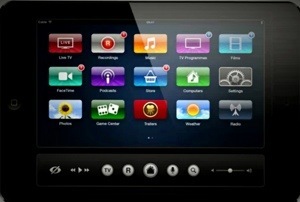 Do you think this is the year that Apple finally cracks the television market? The answer: it better be! It’s been a mighty long time since I added content to this blog. Let’s just say that life has been incredibly busy from my end and leave it at that. However, when I saw this article from BitRebels.Com, I had to get this GTG blog rolling once again courtesy of some more wise and wonderful words from the late and the great, Steve Jobs. 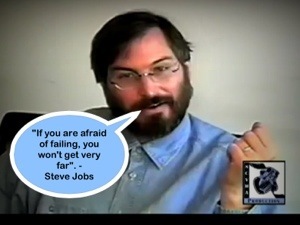 In this 1994 video, Steve gives his succinct and, I must say, inspiringly accurate insight into why people fail. And, don’t we all want to avoid that? He relays information that basically enabled him to move ahead in his technological career, even starting from the age of 12 years old where he made his now famous phone call to Bill Hewlett asking for some spare parts for a frequency counter that he was in the process of building. Well, not only did Bill Hewlett give Steve the spare parts he asked for, but he also offered him a job at Hewlett – Packard during the summer. All from a simple phone call. Most young people would be intimidated at phoning a large company or, perhaps, would not think to even venture in this direction, afraid that they would be deemed a nuisance and have the phone slammed shut in their ear. But, risk-taking is so crucial to success – in any field – and, most of the time, the positive benefits of taking the risk outweighs the negatives. Have a listen to this brief video – resplendent with Jobisms – and then go out and take that risk you have always been dreaming of!